People living in Penrith are being urged to put forward their ideas for how to improve the town over the next two years. The Vitality of Penrith Group (VOP) has been set up to boost how the town performs economically. The Rural Development Programme for England has given an £86,000 grant towards the scheme. People and organisations from the town will be sharing their ideas at a community event on Monday. VOP community engagement champion Colin Maughan said: "The funding news is a major boost and shows the positive intent of the Vitality of Penrith Group as we seek to create a buzz about the town and encourage local people to come forward with their ideas and offers of help to improve Penrith." 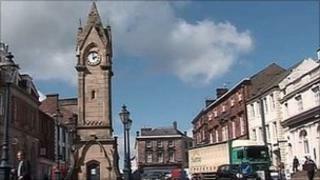 In November, the revised £77m New Squares project for Penrith was approved. The plans, which must be sanctioned by government, are for a superstore, car park, 189 homes, restaurants and offices, which are due to be completed by 2013.